G’day! 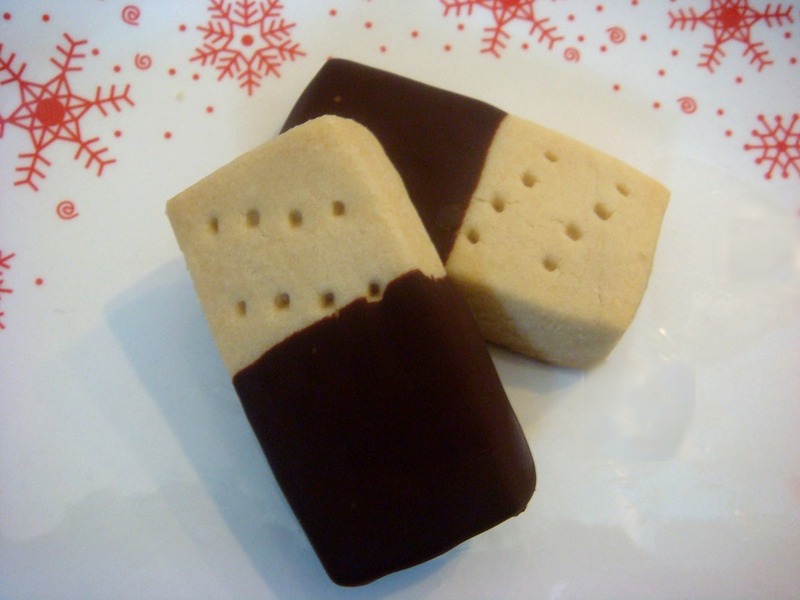 Your short breads look delicious, true! Wish I could enjoy one right now too! I forgot about the 12 days of cookies. Oh, that should be Christmas. How fun. Thank you. just mixed these up and it is so crumbly there is no way they will roll out and stay together. I made several balls with the dough and put in the fridge hoping they will stay together once chilled. Help… What did I do wrong? How do I salvage them? Oops my bad… I only used 1 Cup of butter! Duh, too much baking in one day! Didn’t figure this out until I added another half cup and then rolled and baked. Not sure how they will taste minus 1/2 cup butter. Sorry for the first post! I hope they turn out for you. Merry Christmas and happy baking!! These are my husband’s favorite cookies – so of course they are on the list to be made. They came together WAY easy, and the hardest part was getting them on the baking sheet in a orderly fashion. I decided to just roll out the dough ON the baking sheet (I lined it with a silpat mat so I didn’t have to worry about anything sticking). Once the dough was rolled out, I used my dough scraper, and cut the dough into roughly 1×4 inch strips and then used the scraper to gently push apart to give the cookies space. I probably should have chilled the dough, but I was trying to work fast, as I have about 3 other recipes that need to be done before tonights’ festivities. I think I baked them longer than 22 minutes – maybe 30? I accidentally turned off my timer (I was using the microwave to prep something else), so they are a little darker than yours – but still just as good. My husband loves them, but his first comment was that they tasted like Pecan Sandies, without the nuts. Ah, go figure. 😉 Anyway, thanks for the recipe, I will add this to my short list of go-to cookie recipes. Hope you had a very Merry Christmas. I’m glad that the cookies worked out well for you. Thank you so much for posting this recipe. This is my first time commenting on a recipe, but it was just so great. Everything was perfect and I would suggest this recipe to any bakers. My parents loved them and so did my siblings. They turned out great and the instructions were easy to follow. I made half a recipe, and for my first batch the cookies a bit smaller and I baked them for 20 minutes, the second batch was larger so I baked them for 25 minutes. Hi, I made these today, I was wondering how many days these will be good for, can I freeze them? You can certainly freeze them, and they will be good for at least a month. Stored at room temperature they will last about a week, depending on the humidity level where you live. You can also put a small piece of bread in the container with the cookies to help keep cookies fresh. hi, im just wondering if the butter is salted or unsalted..? going to try it tonight.. I usually use unsalted butter when I bake, but either variety will work fine. I have also used salted butter in this recipe and enjoyed them just as much. Happy baking! OK I made these the other night. I don’t have a convenient place to roll out so I rolled into balls and then flattened out on a piece of parchment paper. 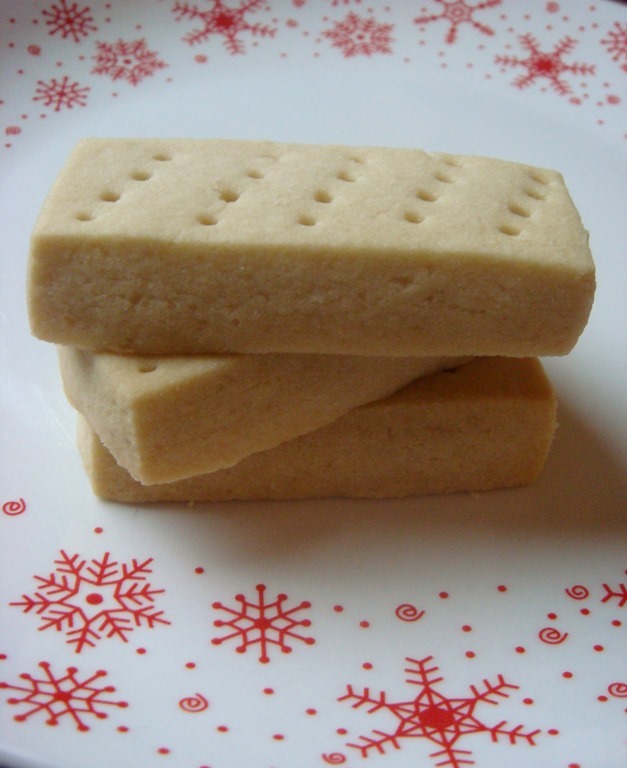 It truly is the best recipe for short bread cookies! I’m so glad you enjoyed them. Merry Christmas! The local “big box store”wasn’t carrying the huge tin container of Walkers shortbread, so I thought what the hell, I’ll make my own. These totally hit the mark…great flavor, and the texture is perfect. I think I may well be over my Walkers addiction! Always happy to help someone trade one addiction for another! Happy baking.